Make learning easier, more efficient, and more organized, and discover how to outpace, outthink, and outperform others. 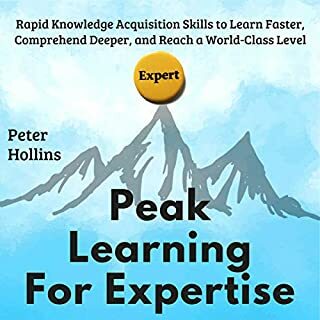 Think outside the box, and strategically accelerate your expertise with the tips and techniques presented in this book. His voice puts you to sleep and label chapters. Three books in one! Do you want to become an expert in agile? Get this audiobook and follow my step-by-step explanations! Agile Project Management: Agile project management principles and practices empower project managers to adapt to and manage effectively innovative product development. 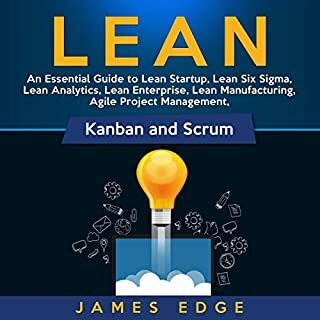 Kanban: Kanban is a visual tool that helps in the management of projects by visualizing workflow, limiting work in process, creating and improving the flow. Scrum: Scrum is a framework for developing and sustaining complex products. Do you want your company to improve? Do you want to see your company do better with less waste? 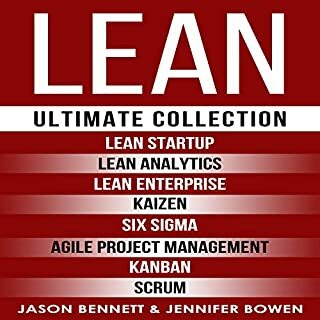 If you answered yes to any of these questions, Lean: The Ultimate Guide to Lean Startup, Lean Six Sigma, Lean Analytics, Lean Enterprise, Lean Manufacturing, Scrum, Agile Project Management and Kanban is here to help. Lean is a business practice that will eliminate waste in your company while improving the processes that you are currently using. 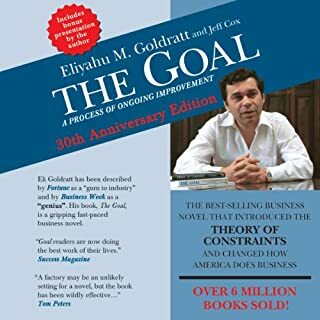 So if increasing productivity and profits is something you're interested in, don't hesitate to buy this audiobook now. So what are you waiting for? Buy this audiobook now and start streamlining your company today! I have no idea what Facebook and Twitter have to do with Lean. Basically he takes a topic, quotes someone else and then lists off the same stuff that can be Googled and read in 5 minutes. Of the last 200 books I've read this is the first one I stopped halfway through because I couldn't take it anymore. One minute he's talking about implementing these in a startup then needing a team of several people to do lean and then back to startups. It was all over the place. How to scientifically create innovation. It's a great book, easy to read and understand. It present many great ideas on how to innovate and change the way we do our work. What is most amazing of it, is its focus on the scientific method to understand what to create and specially to learn. James Edge does more than create wishful thinking, he sets standards for how businesses should operate, how investors should treat a startup, and most of all how a company can create products people not only use, but love. A wonderful book with a great philosophy. Whether you're a product developer for a company or an executive at a high-tech startup, this book benefits many positions from all perspectives in just about any industry. The nature of the Lean Startup itself is something that can be applied to nearly all facades in life. I read The Lean Startup a few times a year just because it always amazes me on how much I continue to learn from its philosophy. Awesome book not only for startups, but applications for any company. I use these thought processes even though I work for a Fortune 500 consumer goods company. The startup mentality isn't only for entrepreneurs, but just the entrepreneurial minded. I don't have any worthwhile ideas to start a company, but i like to think I have that entrepreneurial spirit! Business Science, this is the art. 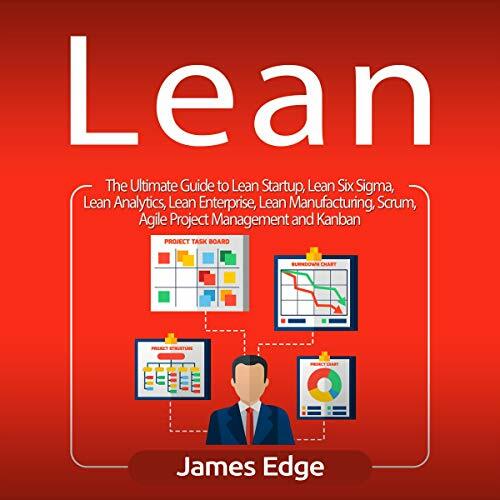 You don't need to have a business background to understand this book, nor do you have to be an entrepreneur or established manager to benefit from the Lean methodology. This book completely changed by perspective on managing business (not just Start Ups but even programs within big companies). First audible here, a good one. I went through the book and can say I would prefer a more concise version, with less repetition of the concepts, but I am sure many will find the multiple examples and reiterations helpful for better understanding of the concepts presented. This book introduces a new and more effective approach to developing a startup business. It includes examples showing how the theoretical principles can be applied to real-life situations and what are the consequences of not applying them. The theory contained in the book provides the means of steering a small company towards success by properly acquiring and utilizing relevant knowledge. Clearly worth the listening this book. To me everything else in the book was encapsulated inside of getting an MVP out there and commencing the iteration process. Reading this book and then Moore's "Crossing The Chasm" immediately after has greatly deepened my marketing insights.I also think that having basic business management and marketing theory prior to reading these books will increase the value of these books. Summarization is crucial to everyone. The correlation between lean manufacturing and a startup is surprisingly fitting. Author does a great job explaining the lean concept and relating it to startup phase/topic.Also does a great job explaining that startups aren’t only new companies, but subsets of larger organizations too. This book of is of little value if the company you are starting is not software related. 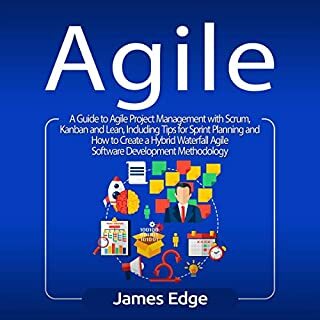 Despite James's claim for broader applicability, almost every example in the book relates to software development related businesses. Who else can profit from advice on quality or frequency or releases, for example? This would be the Bible of lean. One particular example describes a founder who managed to reach a conversion rate of well above 50% using the iteration principle. And that's must one example. A must read for every entrepreneur, especially those who are skeptical about Lean Startup methodology. 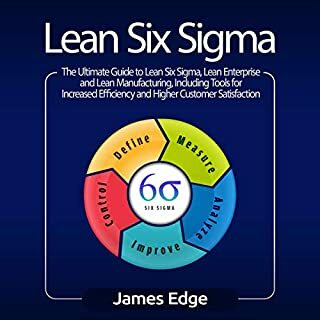 In fact, a large part of the book is devoted to explaining the merits of the Lean methodology and convincing the unconvinced. The rest of the book explains the basic principles of Lean in great detail, with many real-life examples, which are highly inspiring too. Inspiring for the aspiring entrepreneur. Any new undertaking gave me a new perspective and a renewed vigor to apply lean principles in all that I do. Thank you for writing this book, I am sharing it with everyone at work and with friends. Great book for anyone in any business! Didn’t meet the hype, but still filled. This book came highly recommended by both online and personal sources and yet I didn’t feel engaged most of the time. Certain principles in here are incredibly important and interesting, and perhaps if the book were read multiple times, those insights would come forth more clearly. But reading through this book once was enough for me. In short, the book could have been dozens of pages shorter and accomplished the same goal. Second time listening to this book and it is a great book to read a second time, to remember his insights and to help formalize the thoughts I have many days at work. Asking why and getting smarter while at work is so critical to being successful. Not just doing what someone else suggests but rather, looking for how it aligns back to the customer and the goal, and striving for outcomes that help to approximate the ideal our customers want, or should I say need. Not bad, inspiring for the aspiring entrepreneur. Furtive advertising in the form of anecdotes about the author's Alma mater companies. Typos such as the detoxification of acronym "CPFB" on page 69, 2nd paragraph (should be "CFPB") and numerous instances failing to pluralize the definite article for "data" were distracting, but message me and I'll discount editing services for any sophomore effort. Test your assumptions in the world and learn as fast as possible before your capital runs out. Everything else (design tweaks, website color schemes, scaling before confirming you're on track) is a form of waste.